2016 has come and gone, and a new year is upon us. As with any new year, 2017 brings opportunities and a year full of surprises, especially when it comes to Disney and all of its properties. The company has plenty of plans up its sleeve for 2017, giving fans lots of things to look forward to for the next 12 months. With lots of plans in progress, the Disney Parks will see some minor refurbishments wrapping up, while making huge moves with others. Since there is so much coming to the Disneyland Resort, these are what I'm most looking forward most. With Star Wars Land construction requiring a lot of room, Disneyland Park was forced to shut down some big pieces of land while the process got underway. As a result, guests have been without some fan-favorite attractions such as the Disneyland Railroad, the Rivers of America and its many attractions, and Fantasmic! The good news, however, is that these beloved attractions will return to their normal operation this year. I have personally missed the Disneyland Railroad more than anything; nothing beats a relaxing spin around the park on one of Walt's most treasured creations. It will also be interesting to see the changes to the railroad as a result of the construction of Star Wars Land and whether it drastically changes the attraction or not. 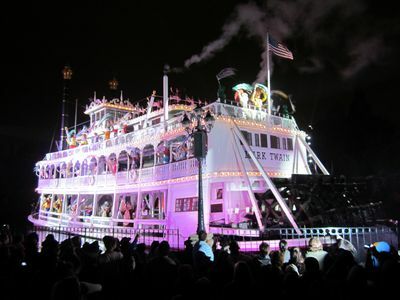 Another return I’m especially excited for is the nighttime performances of Fantasmic! Since I was kid, Fantasmic! has always been one of my favorite shows in the parks and I'm thrilled to see it return. It's also exciting to note the rumors that abound about the return of Fantasmic! Some say it will be a different show with some refreshed and updated elements. There is no final word on this, however, so keep in mind they're just rumors, but it will be intriguing to see in the coming months what has changed, or if it remains the same show as before. Fantasmic! Photo by Megan Walker. Just recently announced, the fireworks spectacular, "Remember…Dreams Come True!" will also be making its return, replacing the "Disneyland Forever" fireworks show that ran during the park's 60th anniversary celebration. While "Disneyland Forever" certainly raised the bar for fireworks, "Remember…" has always be a fan-favorite, and my personal favorite firework show, so I am very much looking forward to seeing this show again. There's no word on how long the show will stay in the parks, though Disney has implied it will remain in the parks through the summer, and, if this is the case, I imagine it will remain throughout the year until the holiday fireworks begin again. Finally, probably the most anticipated return is the Main Street Electrical Parade, making its return home to Disneyland Park after appearing in the Magic Kingdom at Walt Disney World for some time. 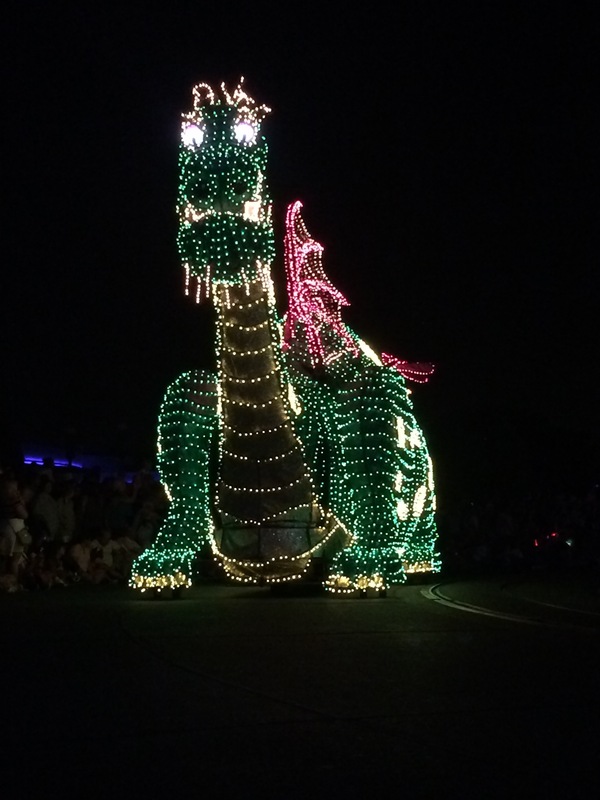 After making its debut in Disneyland in 1972, it was "retired" in 1996, before returning as "Disney's Electrical Parade" to Disney California Adventure in 2001, ending in 2010. It's been appearing solely at the Magic Kingdom since 2010, until it ended its run there this past October. The parade will end its run at Disneyland on June 18, 2017, and many have expected that this will be the parade's final run before being retired, at least stateside. I have fond memories of the parade from my childhood, so I cannot wait to see it again now as an adult. While quite old, the parade is full of nostalgia, and will be a fun limited return for longtime Disneyland fans. Main Street Electrical Parade. Photo by Megan Walker. 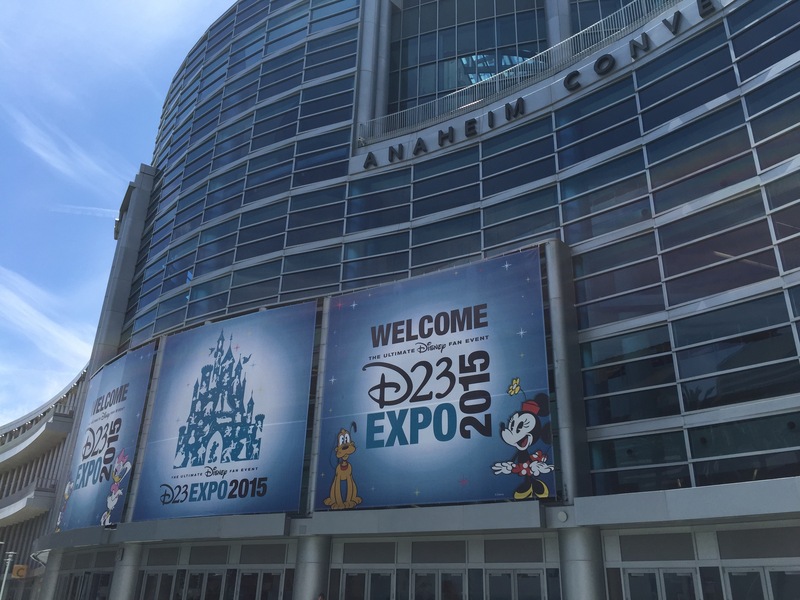 …and that event, of course, is the D23 Expo. 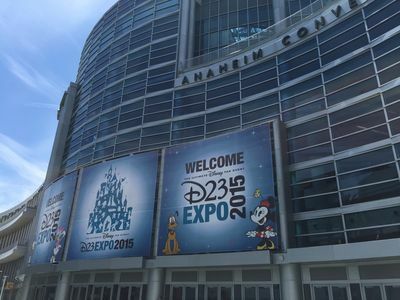 The D23 Disney Fan Club will be hosting its biennial Expo, located again at the Anaheim Convention Center, July 14-16. The expo is the prime time for Disney to announce all of its exciting upcoming plans for parks, television, movies, etc. The D23 Expo is one of my favorite Disney events, I've always had a lot of fun exploring the show floor and attending the many panels throughout the weekend. Some logistics issues aside, I found the 2015 Expo to be a lot of fun and I'm really looking forward to this year's Expo. Since Disney declined to offer much at last year's San Diego Comic Con, I expect them to be saving all of their exciting announcements for their own Expo. D23 Expo 2015. Photo by Megan Walker. One thing I have come to love doing over the past few years are the runDisney races. runDisney has added lots of races to their calendar since they began, and now offer many different exciting race weekends throughout the year, spread across its parks -- and even across the ocean. Below is a list of the runDisney races for the year. I'm most excited for the Star Wars – The Light Side Half Marathon and the Super Heroes Half Marathon. runDisney has been adding a race to their calendar lately so it will be exciting to see if they have any other races up their sleeve this year; March, June, July, October and December all currently have no races scheduled, it wouldn't surprise me in the least to see runDisney hold at least one event every month by the time they are done, so we'll see if any new races appear this year. 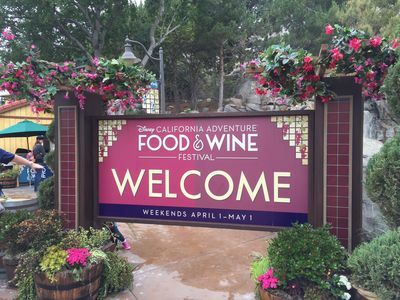 One of the best additions to the parks this past year was the new Food & Wine Festival held at Disney California Adventure. Not only was it an exciting addition to the park, but it was incredibly successful for the company, so much so that they added another round for the holidays, the Festival of Holidays. Additionally, the park is rumored to be planning to hold another one this year, increasing the size and making it bigger and better than last year. I had a fantastic time at both festivals this year, and after living in envy of Epcot's festival for many years I was thrilled to have one of our own on the West Coast. I look forward to having this festival hopefully become an annual tradition. 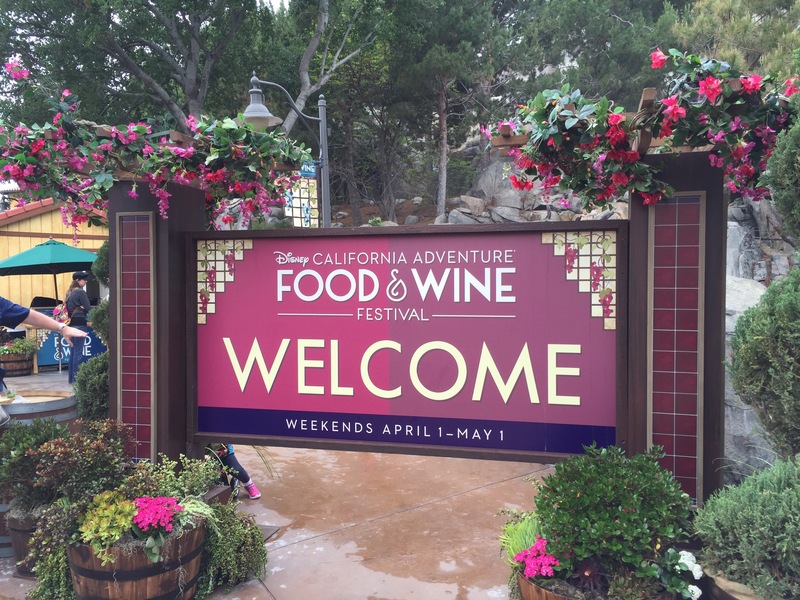 2016 Disney California Adventure Food & Wine Festival. Photo by Megan Walker. My favorite part of visiting the Disneyland Resort throughout the year is witnessing the landscape change with every season. It keeps the park fresh and offers a little bit of "new" every time you visit. Especially in the latter part of the year, it's always exciting to look forward to the holiday seasons at the parks. It's also exciting to anticipate what might change each year during the Halloween and holiday seasons. This year we saw the addition of a new Halloween parade during Mickey's Halloween Party, and also the return of the "Believe…in Holiday Magic" fireworks show, as well as a new World of Color. Finally, I'm looking forward to seeing how the construction on Star Wars Land progresses throughout the year. The biggest thing to happen to the Resort since the addition of Disney California Adventure, Star Wars Land is a massive project for the parks and the Imagineering teams, and it'll be fun to see it unfold. Rides on Big Thunder Mountain Railroad offer glimpses here and there of how the new area is coming together. As the year goes on, I look forward to more potential sneak peeks and more news from the company about just what exactly to expect when the new land opens in the future. What are you most looking forward to in 2017? I know I can't wait to see what the year has in store! Three things I look forward to the most. First, I can't wait for Fantasmic! to come back. My last DL trip seemed kinda sad without it. Second, looking forward to being on Tom Sawyer Island again. There's nothing like letting the kids stretch out their legs and have fun here. Finally, I'm looking forward to when the FINALLY retire MSEP and make PtN a permanent part of the nighttime entertainment. I saw MSEP at MK back in 2012 and it looked old and dated. PtN is something that should be playing every night for the next 10 years. I know I speak for thousands when I say that I respectfully disagree regarding the MSEP. We saw it every summer that it ran at Disneyland and DCA plus several times at Walt Disney World. We never tired of it and are excited to see it come back home. PTN is a nice parade but lacks the magic we found in the MSEP. Yes, the MSEP is old technology but it still works well as evidenced by crowds that justified (or should I say demanded) an extension. Along with Fantasmic and the various versions of fireworks, Disney has a winning team. The MSEP should stay as long as the guests want to watch.